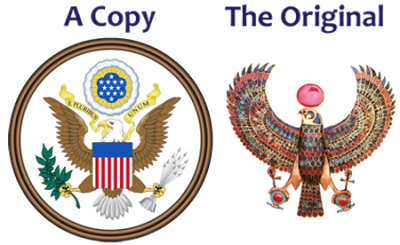 United States of America: Really, What's Up With All The Egyptian Stuff? The occult symbolism within the government of United States of America is hidden in plain sight. 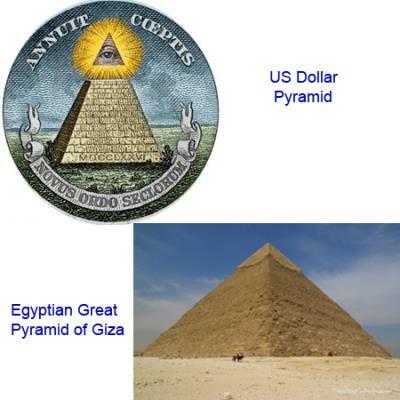 In virtually every important edifice, our currency and within mindset of the founding fathers there are blatant roots in Egyptian occultism. Think for a moment, did the USA separate from Britain or Egypt? What then is the explanation for the Egyptian symbolism everywhere? 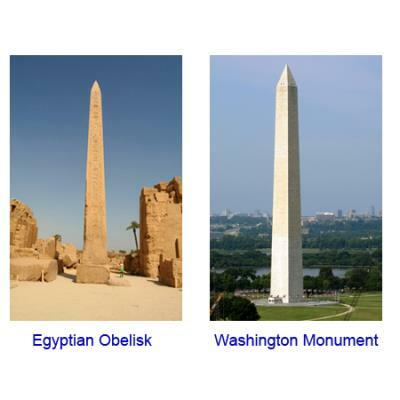 Could it be because most of our founding fathers were Masons who worship ancient Egyptian gods? The evidence is overwhelming. Why is the US Military headquarters named the Pentagon? Pentagon = occult Pentagram. Even the street layouts in DC are in shapes of masonic and occult symbols – Google it. In the book Occult America by Mitch Horowitz (available in our reading section) it details how from infancy America has been based on Freemasonry, spiritualism and the occult. 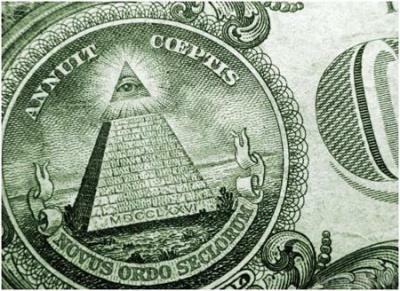 On the dollar bill it says “Novus Ordo Seclorum” which means “New Order of the Ages” in Latin. Which sounds a lot like New World Order which is a buzzword often heard. The New World Order in reality is a new occult order/government as defined by its founders and presentation.